There is a good mix of wide fire roads, single tracks, foot paths, and ruts. Expect the trails to go either up or down, flats are not too common, but still they are runnable. Lots of flora and fauna are to be seen along the trails. No shortage of views here and provide some pretty good visuals. 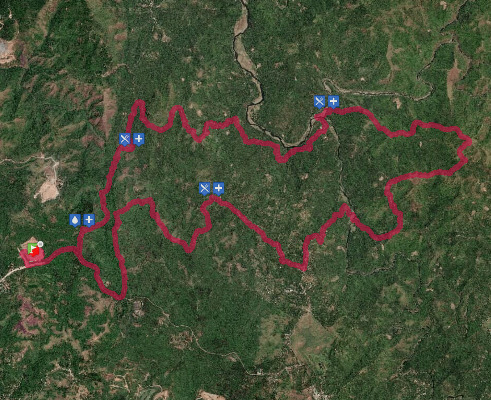 Although shared some trails of the 50k please do not underestimate this route, which consists of 80% single track, 20% gravel/dirt road and fire trails, and some river crossings. You will be venturing away from Timberland, exploring areas: Purro, Casile, Amianan and Maarat. The 32K route is an original course, with 1900-meter elevation gain and loss.